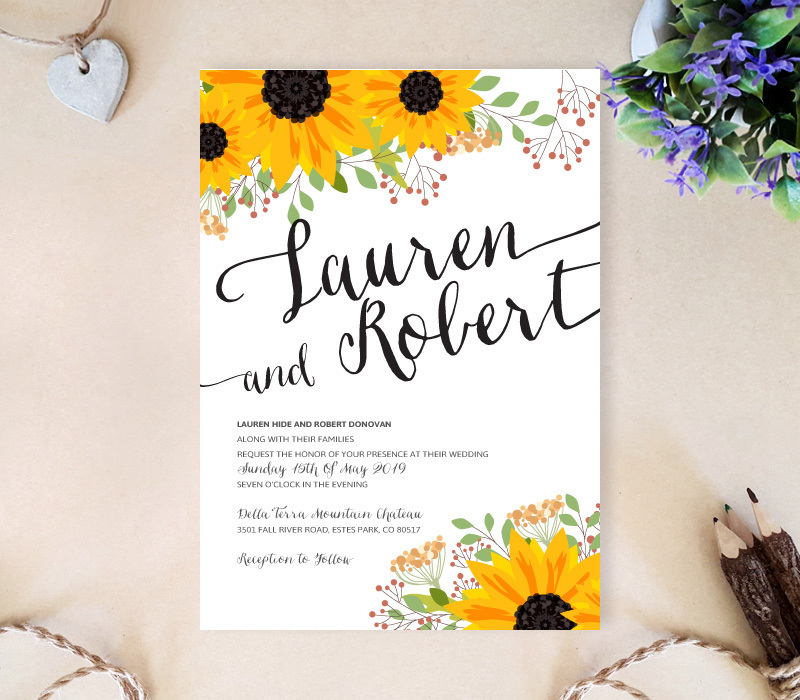 Make sure all your love ones and friends make it to your wedding with our Sunflower Wedding Invitation kits. 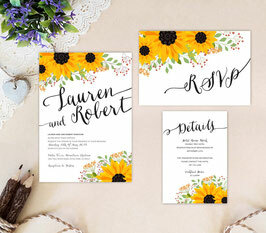 Charming and sweet, our invitation sets will warmly give your guests the event details of your soon-to-be wedding. 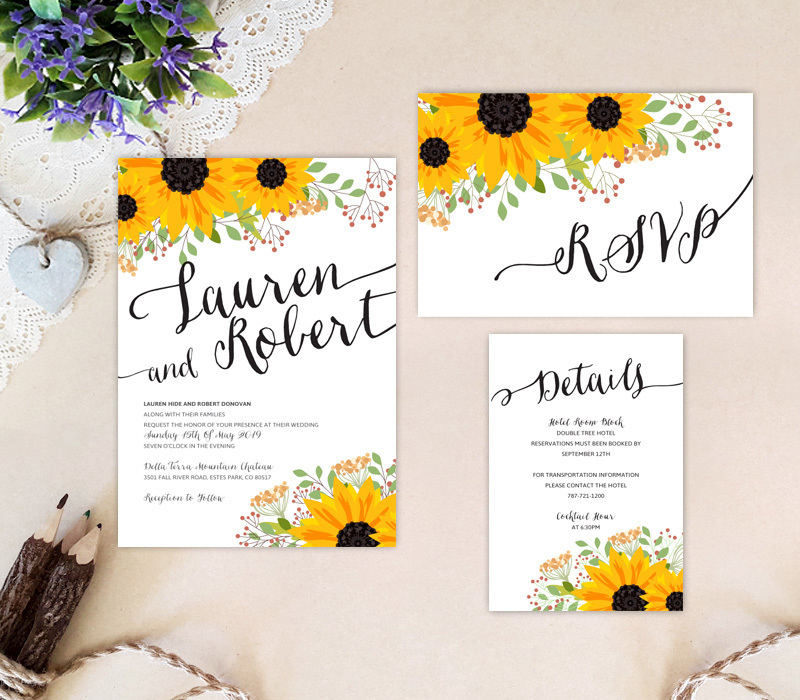 This cheerful sunflower wedding invitation set features everything you need, including invites, RSVP postcards and extra detail cards. 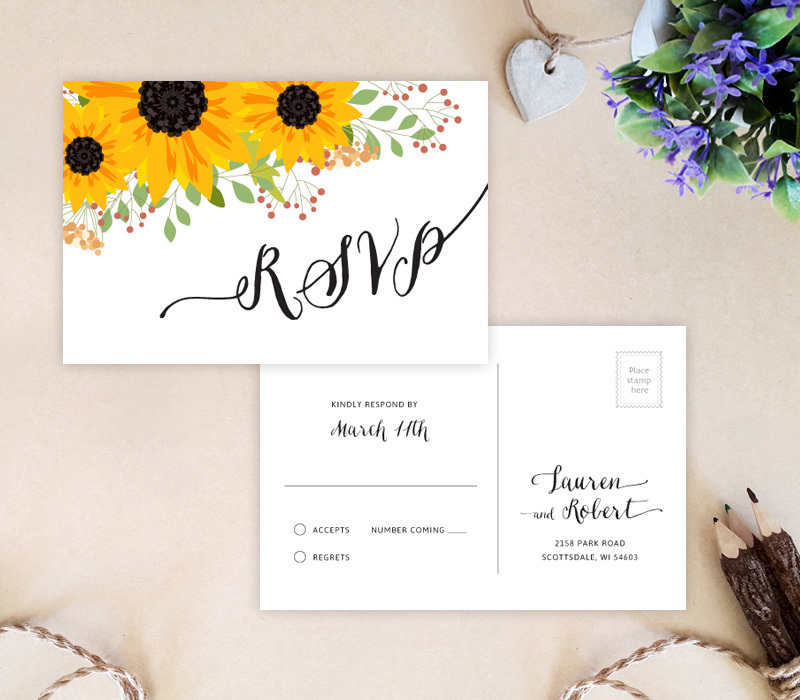 Provide your wording below in the personalization box.